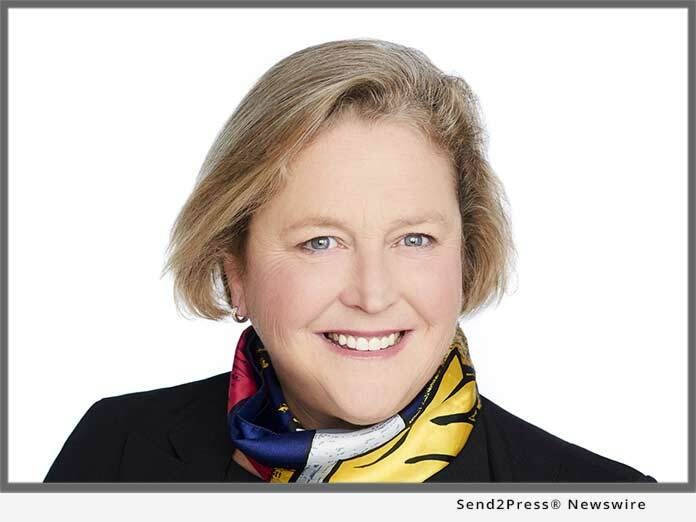 ATHENS, Ga., Oct 25, 2018 (SEND2PRESS NEWSWIRE) -- FormFree(R) today announced that National Mortgage Professional (NMP) magazine has named Acting President Faith Schwartz to the publication's inaugural list of Mortgage Banking's Most Powerful Women. Unilaterally regarded as a leader in mortgage banking, Schwartz was recognized for playing a firsthand role in shaping housing finance public policy and best practices over her 25-plus-year career in the industry. Currently, Schwartz is principal and founder at Housing Finance System Strategies, a housing finance strategic advisory firm, and acting president of FormFree. In 2007, Schwartz was recruited to lead HOPE NOW, an alliance formed by the U.S. Secretary of the Treasury in response to the housing market crisis. As HOPE NOW's executive director, Schwartz assembled a coalition of government agencies, lending institutions, nonprofits and housing trades. Schwartz has also held executive-level roles at CoreLogic and Freddie Mac and served as a strategic advisor at Accenture. She has made multiple appearances on C-SPAN and News Hour and testified numerous times to Congress and the Federal Reserve. "Faith has devoted her career to ensuring that advances to mortgage banking technology and policies optimally serve consumers," said Brent Chandler, founder and CEO of FormFree. "Her expertise and leadership in the industry is unparalleled, and I wholeheartedly congratulate her on this well-deserved recognition." "My career goal has been to help our housing finance market evolve into a more tech-savvy and consumer-focused business that meets the needs of the homeowners of the future," said Schwartz. "It's an honor to be recognized for a pursuit that has brought me great professional and personal satisfaction." Mortgage Banking's Most Powerful Women honorees were selected by NMP editors and recognized in the magazine's October issue for being "women who continue to blaze new trails and lead the way for a brighter future in today's mortgage profession." The full list of honorees can be viewed at https://www.nxtbook.com/nxtbooks/nmpmedia/nmp_201810/#/0. National Mortgage Professional Magazine has become "The Source for Top Originators" - that connects the mortgage professional community under various media formats. Our exceptional team of industry-seasoned monthly contributors combined with our knowledgeable editorial staff, all with meaningful expertise in their respectful disciplines, provide the most up-to-date news, insight and advice for today's mortgage professional. We are committed to ensuring that today's industry is equipped with the most comprehensive understanding of mortgage news available through our many resources, including, but not limited to, articles in the print edition of National Mortgage Professional Magazine and 38 state-specific e-editions, the NMP Daily and NMP Ticker email newsletters, the exclusive daily news stories and postings on our website (https://nationalmortgageprofessional.com), and our regular series of original Webinars, along with a number of additional resources in the works. FormFree is a fintech company whose market-leading AccountChek(R) reports are used by hundreds of lenders nationwide to verify borrower assets, employment and income in minutes. With FormFree, lenders can delight customers with a paperless experience and reduce origination timelines by up to 20 days. FormFree offers automated analysis and standardized delivery to lenders and their investors using a secure ReIssueKey(TM). To date, AccountChek has securely placed more than one million asset reports for over 1,000 U.S. lenders. A HousingWire TECH100(TM) company for four consecutive years, FormFree is based in Athens, Georgia. For more information, visit https://www.formfree.com/ or follow FormFree on LinkedIn.